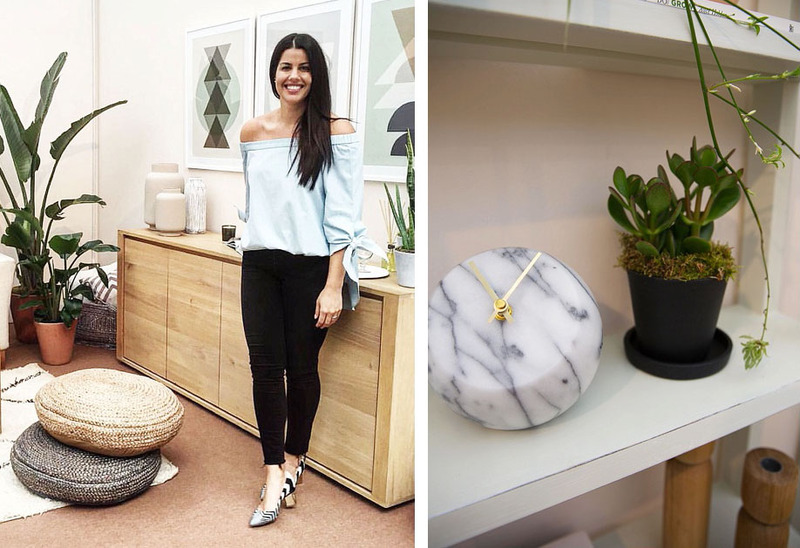 I am so excited to share with you a very exciting project that I took part in last week here in London at The House Fair (in association with House & Garden). 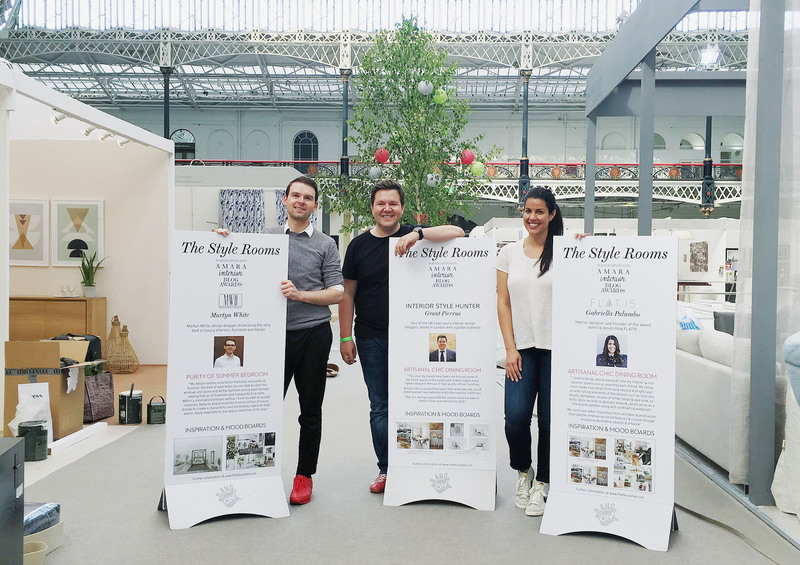 Together with the Amara Blog Awards, the House Fair asked three design bloggers to take part in a new project called Styled Rooms. Martyn White, Interior Style Hunter and myself were each asked to style a Summer themed room at the event using furniture pieces from a selection of the wonderful exhibitors at the fair, to create our own take on interior Summer style. This project was so much fun and such an incredible experience. I am beyond thankful to Amara, The House Fair and Decorum Media for including me in this (and also for being amazing to work with). 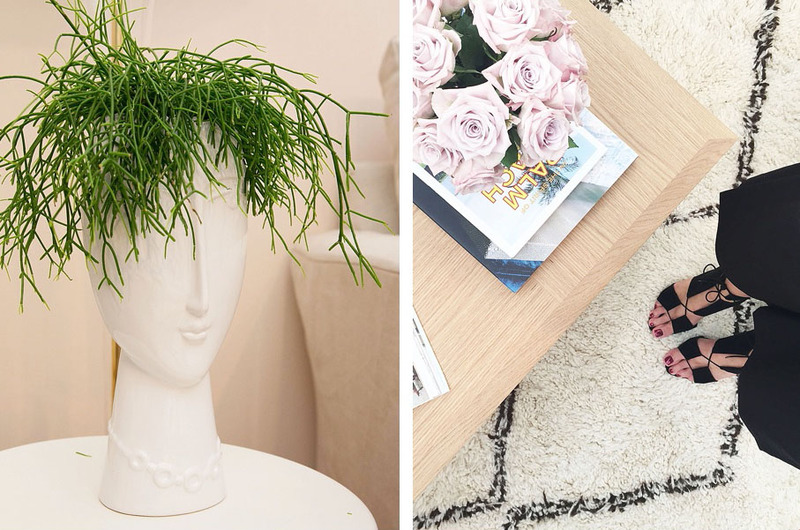 Today I wanted to share with you some details and inspiration from my room. 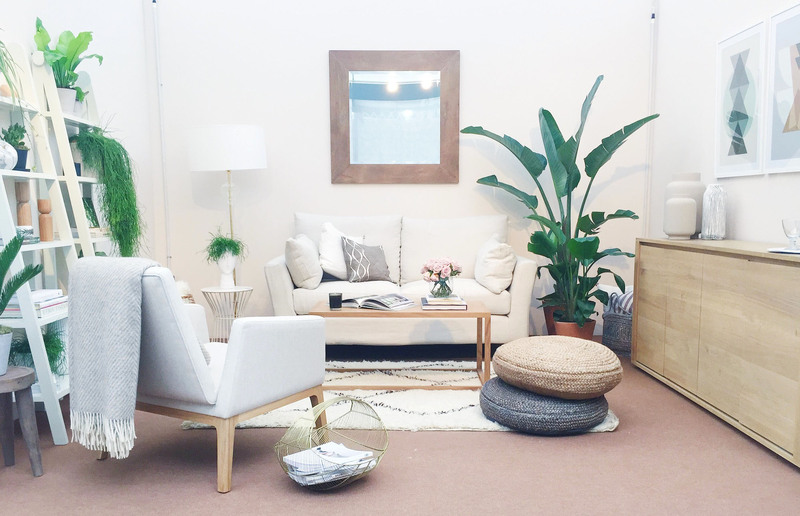 For my space, I decided to design a sitting room using lots of natural elements and a soft muted color palette. I certainly had an eclectic vibe happening and with lots of extra greenery added. 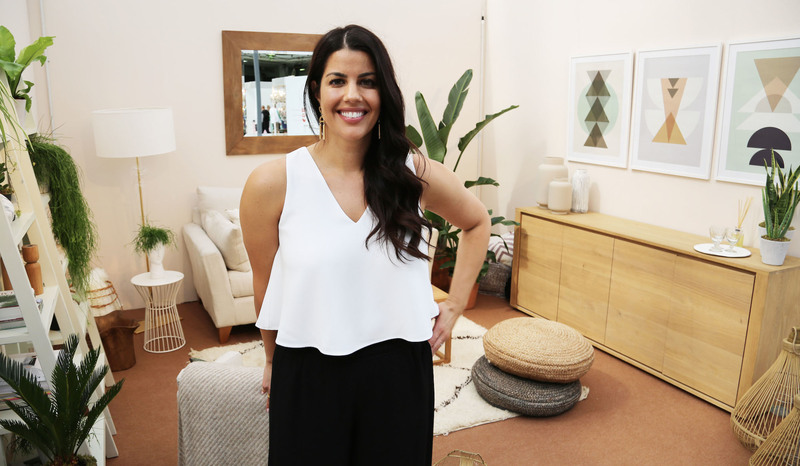 I felt the room had an overall calming and casual atmosphere (which for me is what Summer is all about). You can also check out my mood boards and inspiration for the project here. 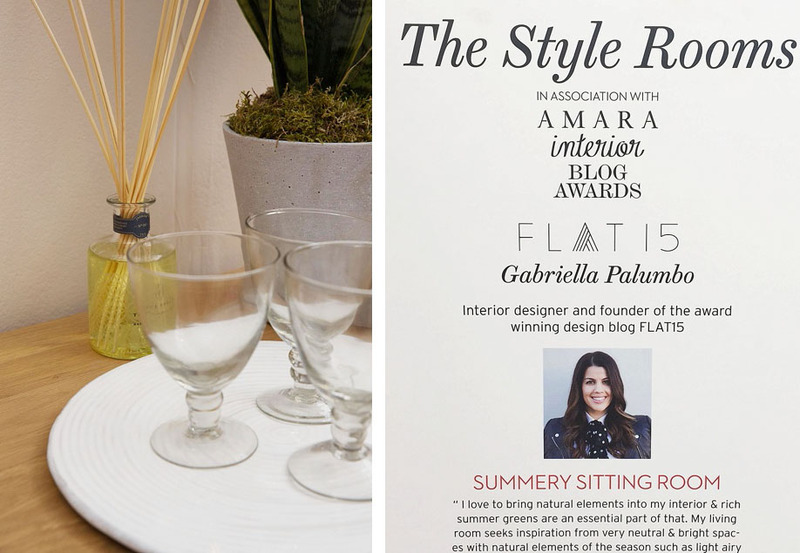 We ended the week with a panel discussion hosted by Amara’s creative director Sam Hood where we spoke all about Summer inspired design. If you like any of the pieces I used, I have listed at the bottom where I sourced all of the items. I really hope you like it! 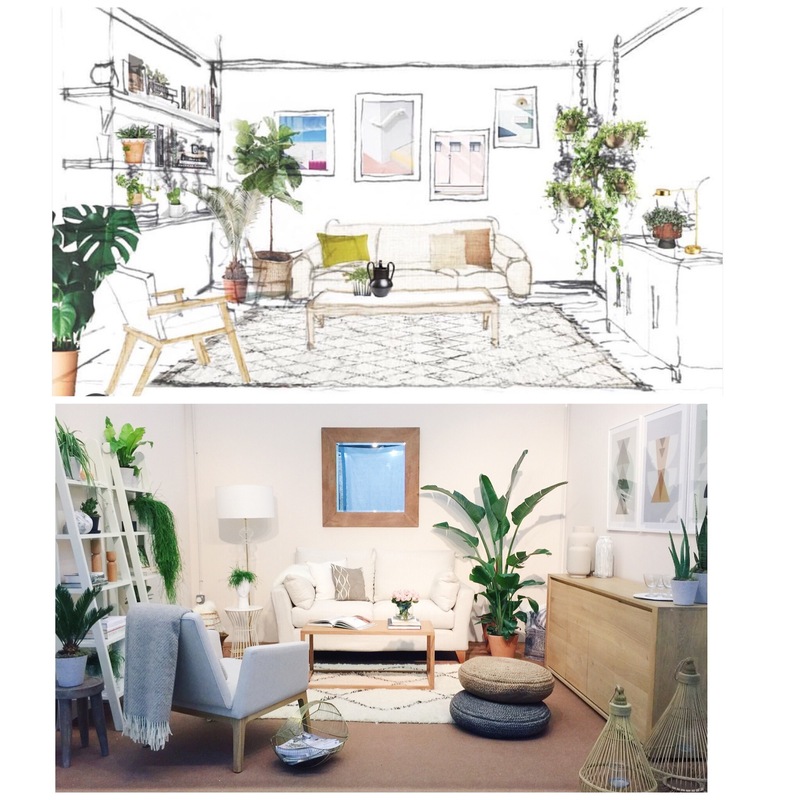 Here we are on set up day … almost finished designing our spaces! Details from my room. I went for lots of decorative greenery and natural style objects on the Lombok ladder shelving. I also used a vintage Moroccan rug to add natural pattern to the floors. Interior styling as per usual. With a neutral color palette I kept the tones warm overall. I especially loved these Bo Concept concrete inspired vases on the left. Lots and lots of greenery. 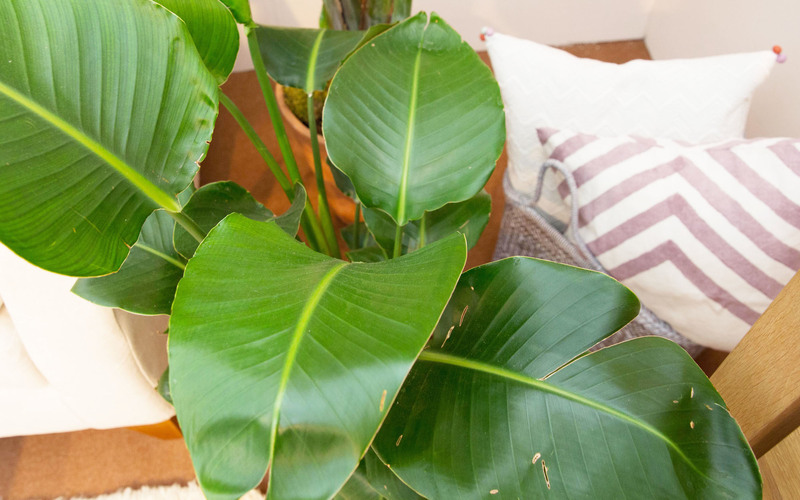 This addition of live greens really made the space pop and gave it that Californian inspired interior feel! 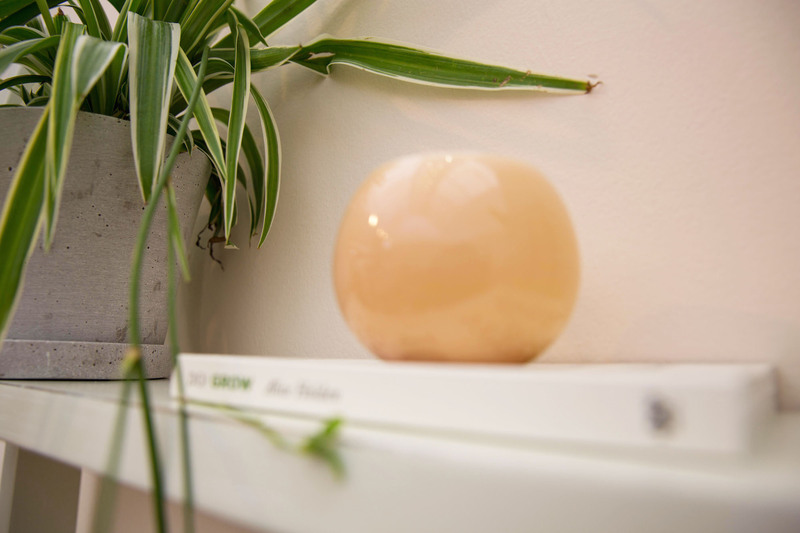 Don’t forget about scent as an important room accent! 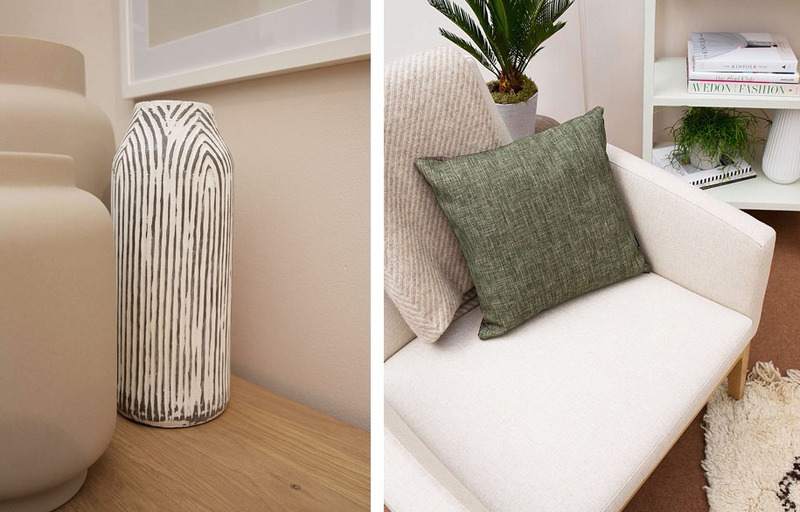 Florals and citrus scents are a sure way to create instant Summer atmosphere in a space. I used candles and diffusers from True Grace. Muted colors were a big part of my mood board and palette inspiration. 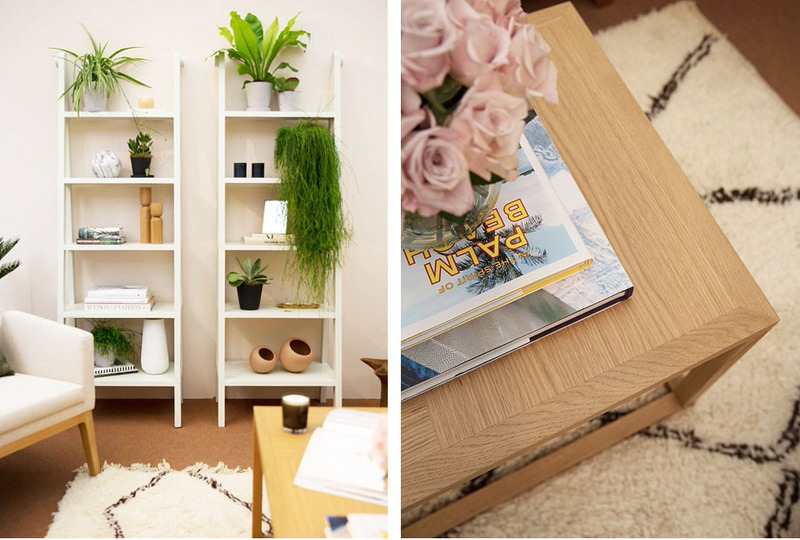 The soft pink walls and decorative items combined with the greenery was such a perfect mix. I couldn’t resist including this vase on the left. This is a personal item of mine that I brought in (I purchased the vase at Clifton Nurseries here in London). Here is my styled room! What do you think? Focus of wall details! These prints are my own. 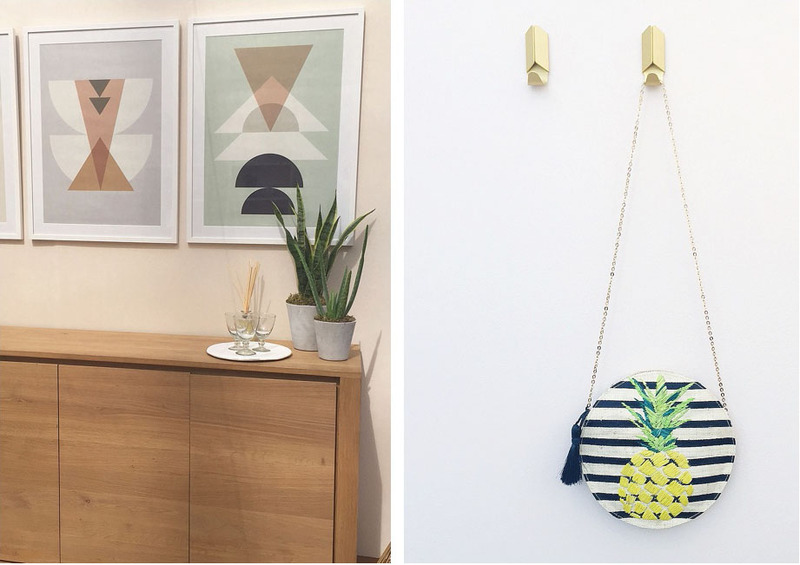 They are framed posters from Ferm Living. The gold hooks added to the minimal gold accents in the room. 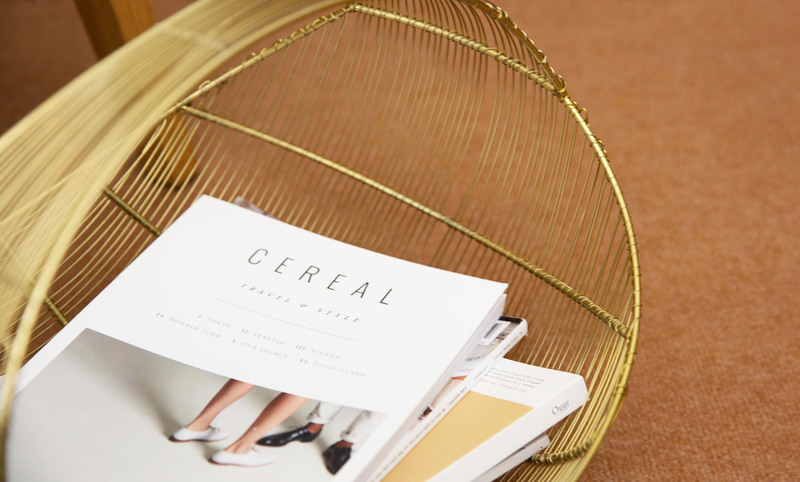 This Bo Concept magazine holder was such a hit! So many people asked me where it was from. Check below for the direct link! 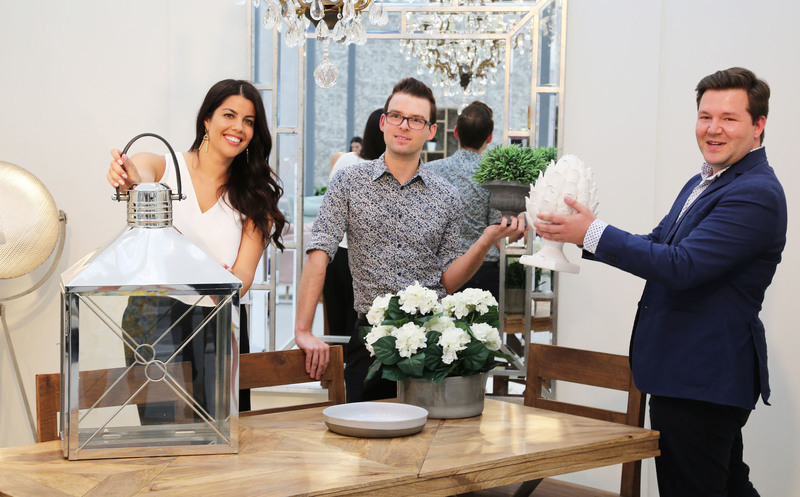 I loved these hemp poufs, they brought such a fun casual element, mixed with sleeker accents like this marble clock. I am currently in love with light woods. I made a conscious effort to include a mixture of all light woods. 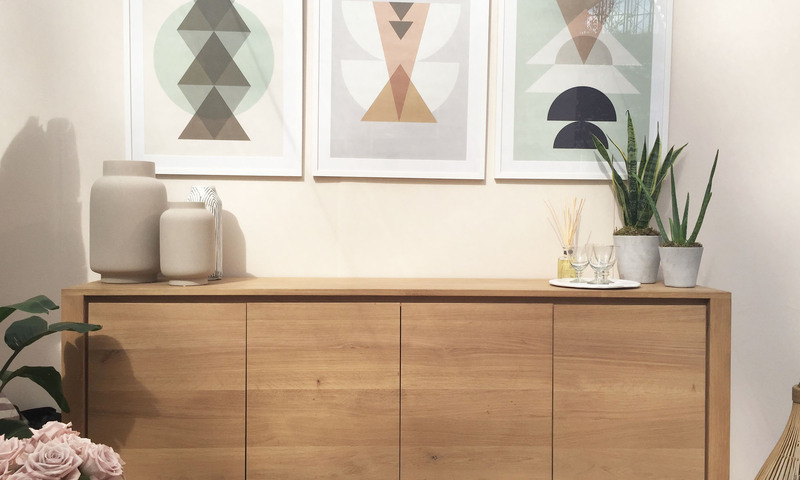 This sideboard from Adventures in Furniture was a favorite of mine. My room sketch brought to life. 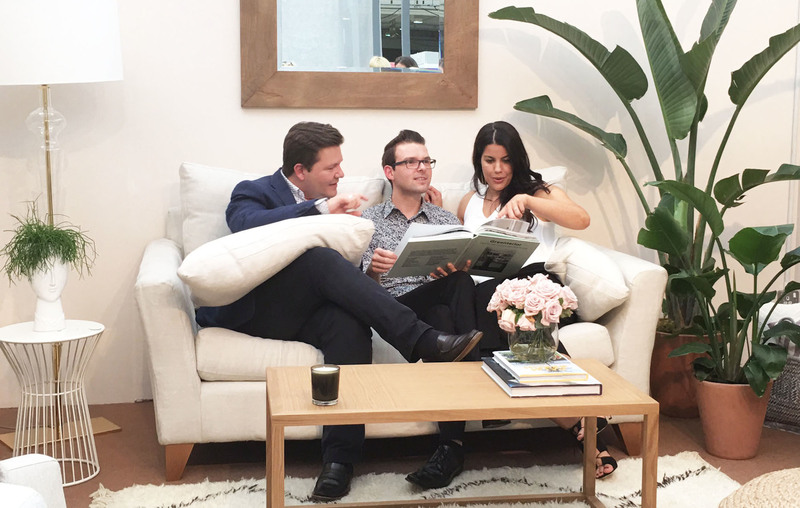 Here is Martyn (Martyn White Designs), Grant (Interior Style Hunter) and I hanging out in each others rooms. Don’t you just love their spaces! I had a great time working on this project with them, they are incredibly talented and so much fun! Stunning dining room by Interior Style Hunter. Beautiful minimal design in this bedroom by Martyn White. (I especially loved his book accents). Cozied up on the sofa in my sitting room! All pictures are very lovely, I liked all. We are home interior expert so we always try to search these kind of pictures.. This is my first visit on your website.